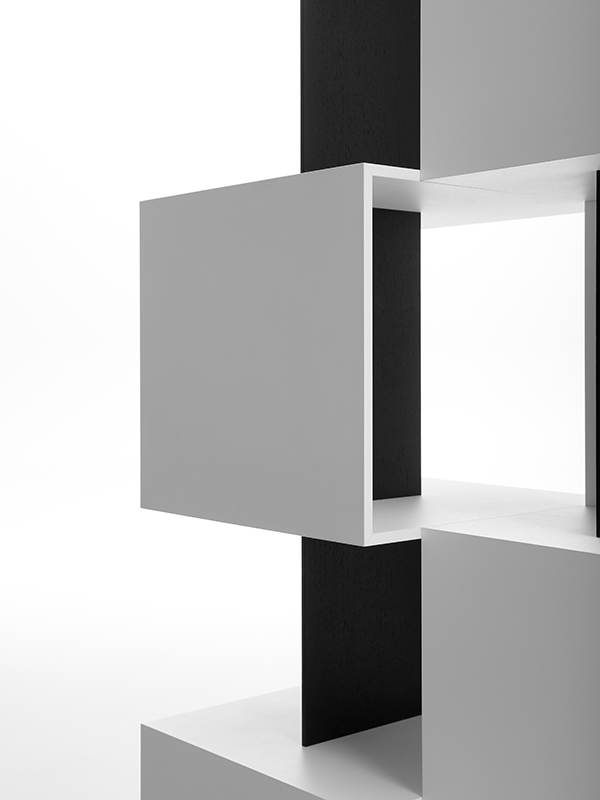 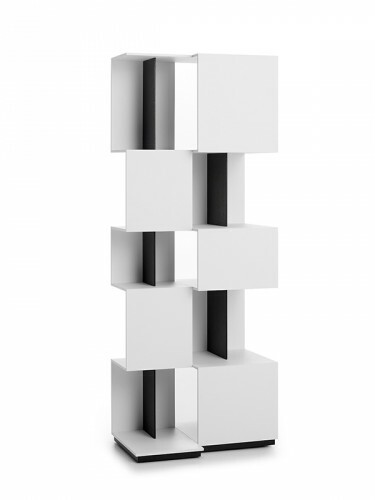 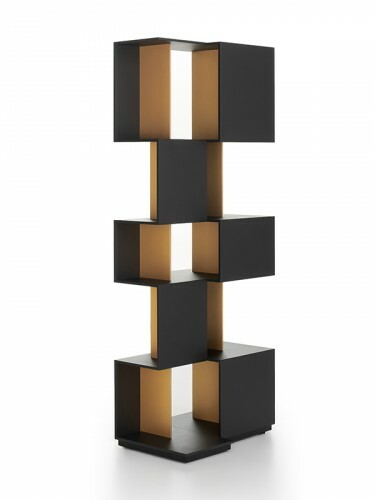 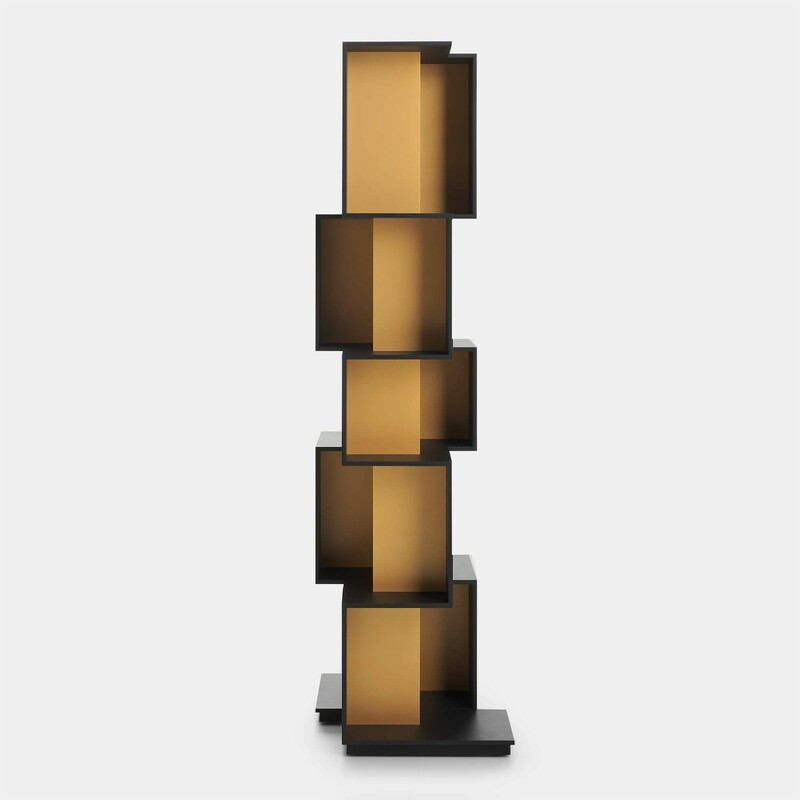 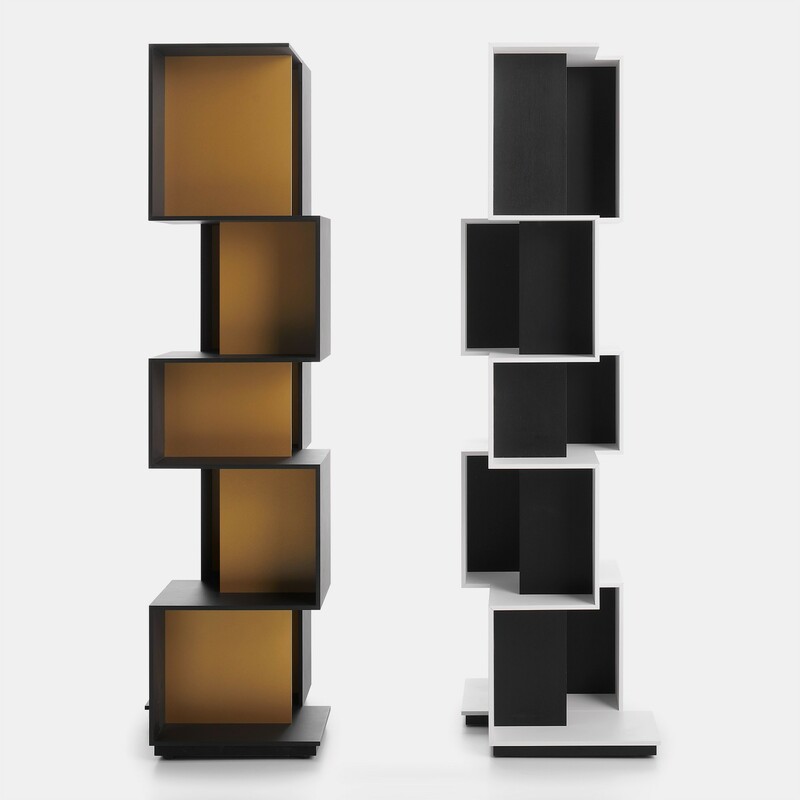 Qubit: a name that pays tribute to the quantum theory and its unit of measurement, for a storage-bookcase featuring a rigorous, but original and bewitching geometry. 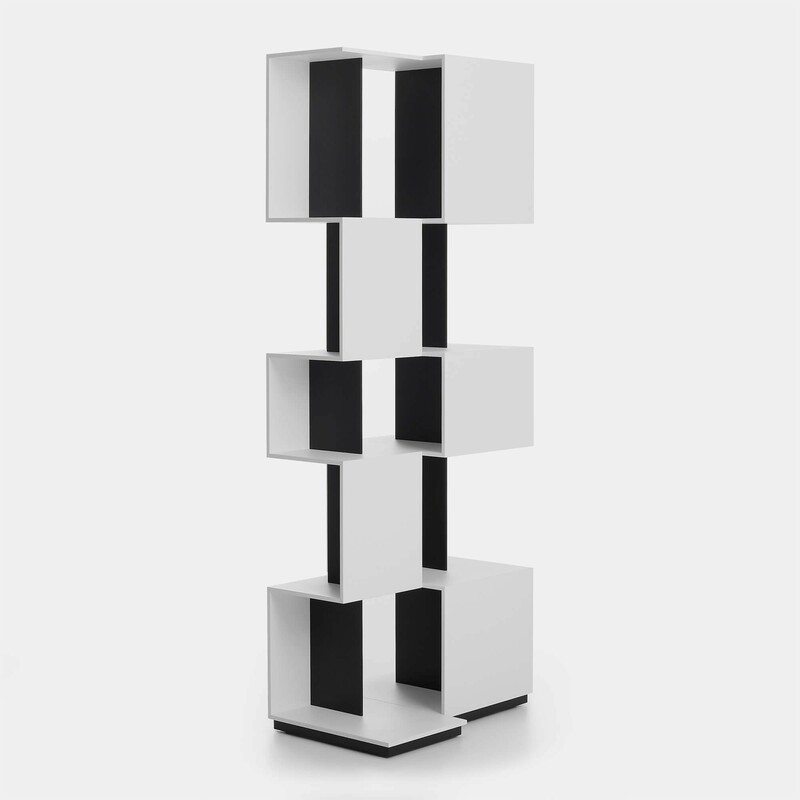 Victor Vasilev, its creator, actually developed a flowing sequence for this furnishing solution, whose rhythm is transmitted by repeating the individual modules. 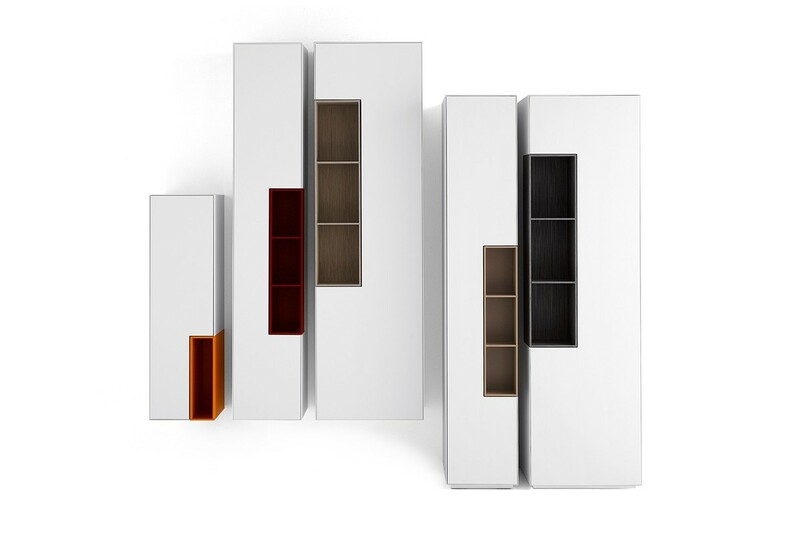 So, rigour and modularity, order and strong personality, flexibility and precision interweave in this brand new storage unit, that can be used in many home spaces – from the living to the night areas – both as a partition and as an element to pull over to the wall. 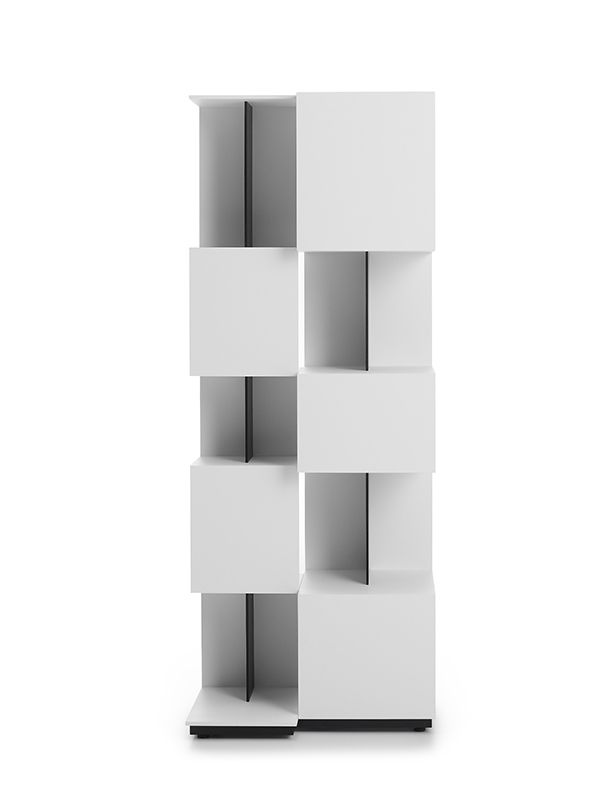 But also as a free-standing “totem”, a real “micro-architecture”, as Vasilev calls it, to be lived on both sides and in all sizes. 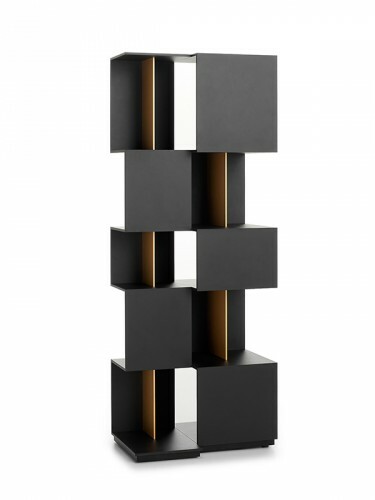 “The project originates from the complexity of the period we are living. 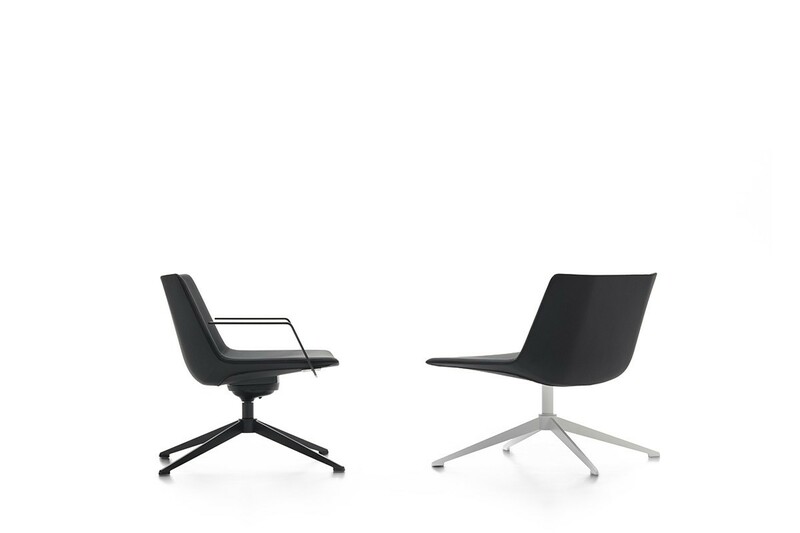 The plurality of points of view is often present in our everyday life” says the designer. 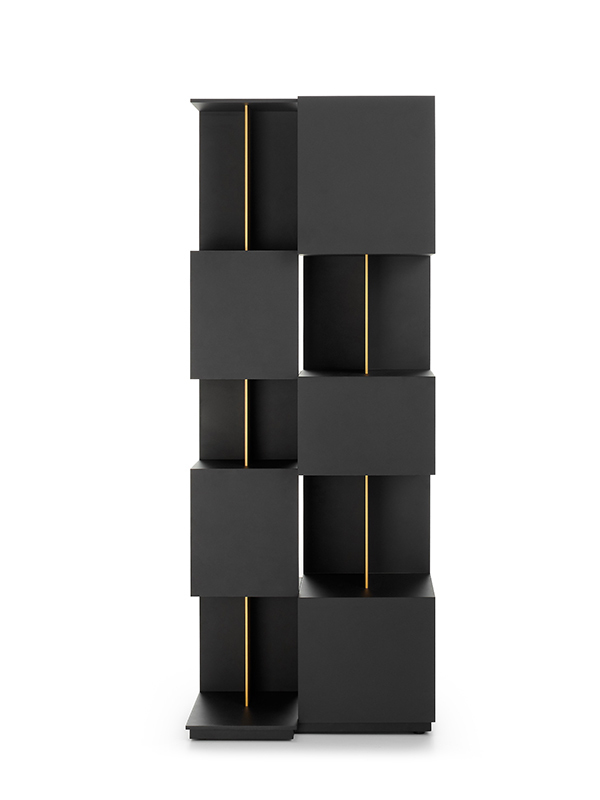 Hence, the versatility of this multi-purpose storage unit, available in three heights, proposed either in white with black ash partitions or in anthracite grey with brass painted wood partitions. 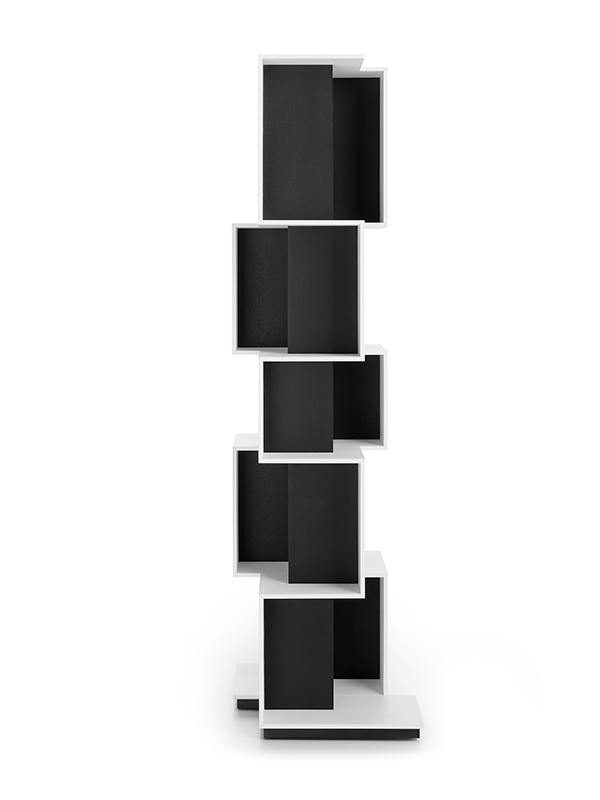 With its sharp and flowing lines, Qubit represents very well MDF Italia’s elegant, essential and innovative style. 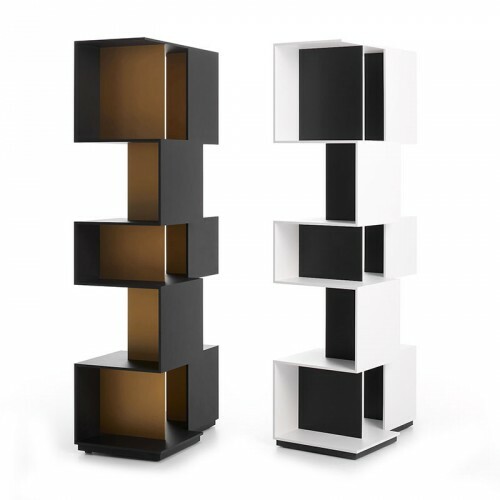 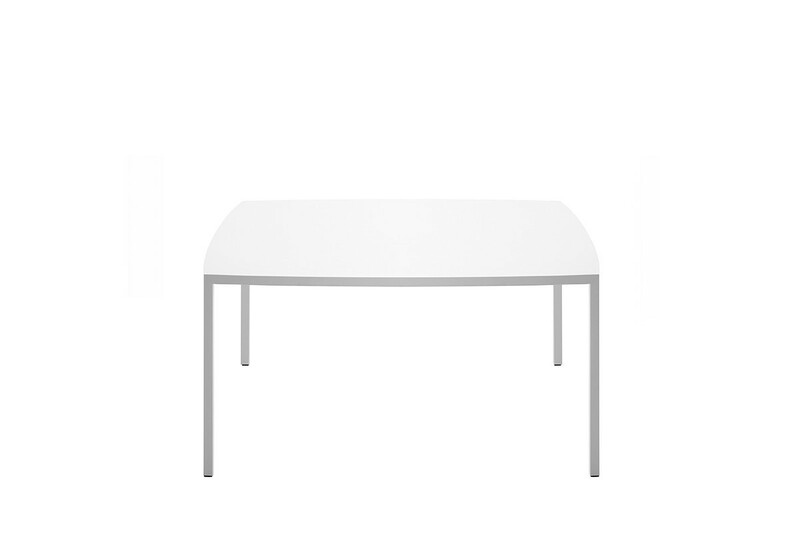 A single modular element with parallel installation (W63), with two faces and different heights (66.5, 90.5 and 161.5 cm). 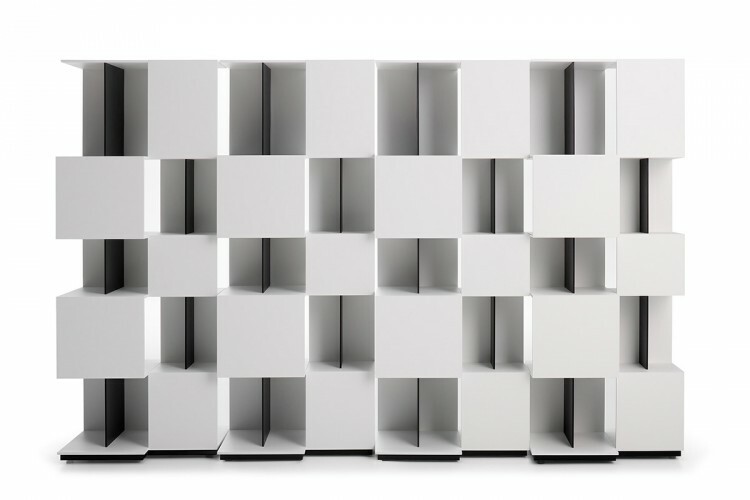 This reversibility allows, by setting multiple modules alongside one another, to give continuity or discontinuity to shelves and volumes, to empty and solid spaces, and to create larger compositions. The use of a counterweight, in the high and medium versions, allows the installation in the middle of a room or against a wall, with no need for fastening. 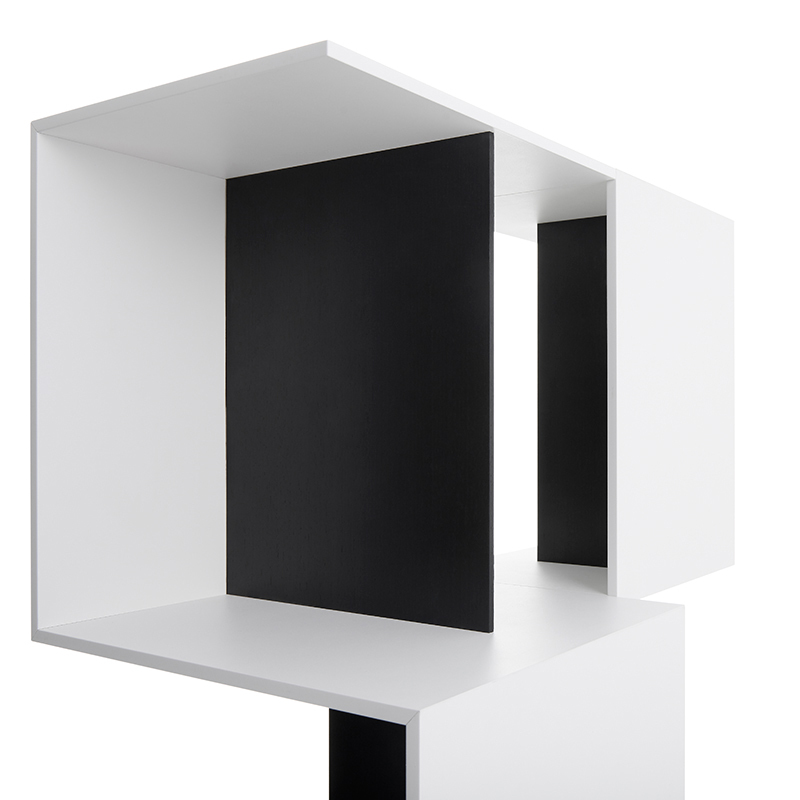 Elements made of medium density wood fibres, thickness 10 and 6 mm, and 2.5 cm plinth with +/- 1 cm adjustable steel feet and steel counterweight (15 Kg).
. Micro-goffered matt white lacquered structure, with vertical partitions in black open-pore stained ash.
. Micro-goffered matt lead grey lacquered structure, with gold lacquered vertical partitions.